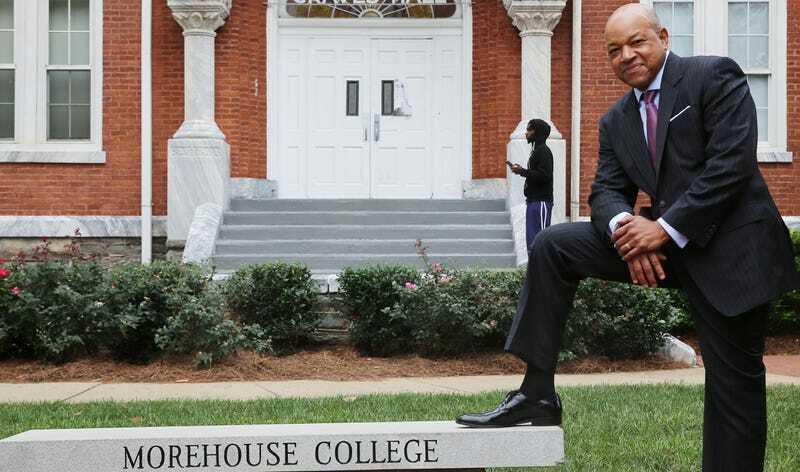 After a tumultuous year that included three different presidents, a lawsuit filed by members of the Student Government Association and a change in the entire leadership of the institution, Morehouse College has named David A. Thomas as its 12th president. Thomas is the H. Naylor Fitzhugh Professor of Business Administration at Harvard Business School and holds a Ph.D. in organizational behavior studies and a master’s degree in philosophy in organizational behavior, both from Yale University. He also has a master’s degree in organizational psychology from Columbia University and a bachelor’s degree in administrative sciences from Yale. Thomas previously served as the dean of Georgetown University’s McDonough School of Business, where he led a capital campaign that raised $130 million in five years. Thomas was hired after former President John Sylvanus Wilson and the officers of the college’s Board of Trustees stepped down following a controversy that resulted from an investigation by The Root, detailing a trustee board that shut out the voices of students and faculty and packed itself with alums despite reports by independent analysts warning that that was harming the school. Thomas says that his goal is to focus on competent leadership, regardless of where it comes from, while respecting the tradition and values of Morehouse. “My aim is not to depart from it, but build on it,” Thomas said in a Monday press conference, adding that his aim is to increase fundraising and build on the school’s “master plan” for facilities and expansion. Thomas will be the college’s first president who is not a graduate of Morehouse since Benjamin E. Mays assumed leadership of the school in 1940. The 150-year-old institution is the nation’s only all-male HBCU. Thomas will assume the role of president Jan. 1, 2018.